Ever since the Eredivisie started to produce great young wingers, the general hype and expectations of these players when they move to a bigger club in a bigger league can sometimes overwhelm. Using the likes of Memphis Depay and going as far back as Ryan Babel as examples who have followed the trend of Eredivisie talents struggling in better leagues, it has always been a problem for clubs trying to scout and find exciting Eredivisie attackers, who can translate their skills to a more challenging league. One attacker trying to buck this trend is PSV’s winger Steven Bergwijn. 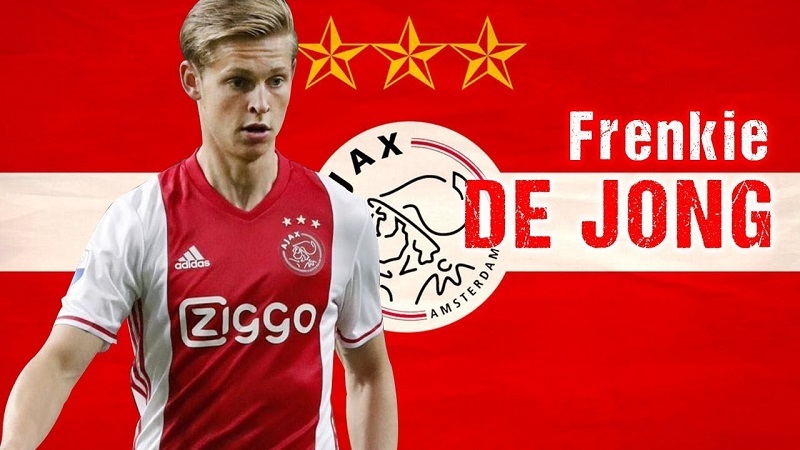 Coming straight from the PSV academy, in recent years the Dutchman has emerged as one of the most exciting and promising young players from the Eredivisie along with future Barcelona man Frenkie de Jong. Whether Bergwijn can replicate de Jong’s jump from the Eredivisie to a bigger club and better league is something that should be looked at if we want to know his true level. The one trait that people typically associate with a modern winger is whether they are a skilled dribbler or not. This applies to Steven Bergwijn as well. Posting the most dribbles per 90 in the Eredivisie, Bergwijn combines his impressive athleticism and coordination when dribbling to an impressive level. His impressive coordination on the ball comes from the fact that once dribbling at top speed the small touches he takes are all very consistent and smooth. This surprised me when watching him as even though it may be simplistic to say that he keeps the ball close to him whilst dribbling, the way he very rarely shows any loss of balance or any erratic nature to his game whilst dribbling at such a young age really stood out. As well as being one of those wingers who is rapid at top speed, he also gives you that explosiveness to his game over the first 5 or so yards that can make all the difference. The 1st clip in the video above best epitomises Bergwijn as a player, as the combination of off the ball movement, dribbling and creating are all on show. As seen above this is one example of how Bergwijn creates separations from his defender through his movement. Bergwin is very good at what I like to call ‘’double movements’’, where he’ll initially manipulate his defender into thinking he’ll come deep, and then he’ll use his explosiveness to spin off in the opposite direction on the blindside of the defender. Throughout his time at PSV, Bergwijn loves to make penetrative runs in behind the shoulder of the last defender as he typically makes runs in between his full-back and the center-back. He probably might not be able to post numbers as high as 4.8 dribbles per 90 in a better league, but this sort of intelligent off the ball movement might just attract a few suitors from Europe’s elite. In addition to being able to dribble past a defence that is in a deep block for a lot of PSV’s game, Bergwijn is comfortable in counterattacking situations with space to run into. He has the ability to progress the ball from his own half into more dangerous areas of the pitch through his progressive runs, but I wouldn’t class the dutchman amongst the best wingers in attacking transitions, as his decision making can be raw at times. The winger is also more than comfortable in acting as the outlet for PSV for any counterattacking situations, showing he can act as an attacker who can relieve pressure for his teammates through his runs in behind or to the side of defences. Impressive dribbling and off the ball movement would be the traits that stand out most when watching Bergwijn’s game, but there is also evidence to suggest he is a skilled and reliable creator. Making 2.5 key passes per 90, Bergwijn loves to play through balls instead of being a traditional winger and constantly crossing the ball into the striker. His playmaking strengths don’t come from crosses but more from combinations and associating himself with his PSV teammates, by dropping off from his defenders and playing through balls. This combined with his off the ball movement are the two traits that I feel would translate best into a better league and club. These numbers should be caveated by the fact that Bergwijn in comparison to other wingers in better leagues is playing in a league which favours attackers, due to the poor quality of defences throughout the Eredivisie. Despite this, Bergwijn’s underlying numbers are extremely promising. According to Wyscout, in the top 5 European leagues, out of all the wingers that have played more than 1500 minutes and are 21 or younger Steven Bergwijn has the highest combined xG90 + xA90 of 0.58 per 90 minutes. In simpler terms, according to expected goals and expected assists, on a per 90-minute basis, Bergwijn is expected to give you 0.58 goals or assists per 90 minutes. To say this is impressive would be an understatement as Bergwijn is beating the likes of Ousmane Dembele and Jadon Sancho on this list. This isn’t to say Bergwijn is anywhere near the likes of Dembele and Sancho, but to still be ahead on these underlying numbers compared to other wingers supports my argument that the PSV winger can be as successful in a harder league. The video clippings on this article have been used for editorial purposes only. We do not own the copyrights to the content.